Loyalty app can be downloaded for free from the App Store or from Google Play. Use the promo code #asgoodascash and get 1,000 reward points* instantly. Sign up with a user name and password or simply use Facebook. You can also activate your account with Touch ID. You will receive an activation SMS or email to confirm your account. Once your account is activated you’ll get full access to Loyalty app. It’s pointless missing out on rewards! Download Loyalty app and join FREE^ today! 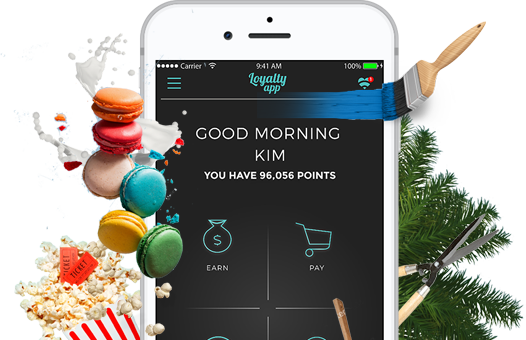 Find out how Loyalty app works and how you can earn Loyalty app dollars* faster! Visit our shop directory to see the hundreds of merchants to earn and use your Loyalty app dollars* with.